Bud Kling, the boys and girls coach at Palisades High School, is a perfectionist. 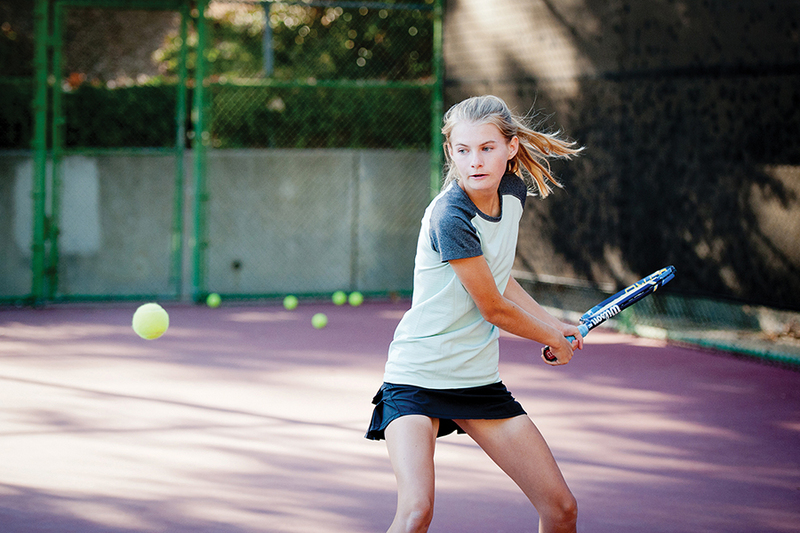 Paperwork must be handed in on time, the off-seasons are filled with extensive exercises, players must show up for every practice, and matches are played to a certain caliber. Kling certainly gets results. He is easily the winningest coach in PaliHi history with 40 City Section team championships under his belt. He is also just 67 wins away from having the most career match wins of any high school coach in the nation. To date he has 1,094 wins and 120 losses. PaliHi freshmen Caleigh Crossman, Polina Zotenko and Alyssa Velky with coach Bud Kling. Kling, a longtime resident of Pacific Palisades, doesn’t get too excited about the fact that he’s so close to setting a record. He credits his success to having talented players over the years. Kling grew up in Los Angeles and New Orleans, and played football, basketball and tennis. He began his career at PaliHi in January 1978 as a substitute teacher. Prior that, he had been substitute teaching and coaching football at University High School. Palisades High tennis coach Bud Kling. Although he enjoyed teaching at Uni, he immediately fell for PaliHi. In September that year, he was hired to teach Health and coach the JV football team at Pali. 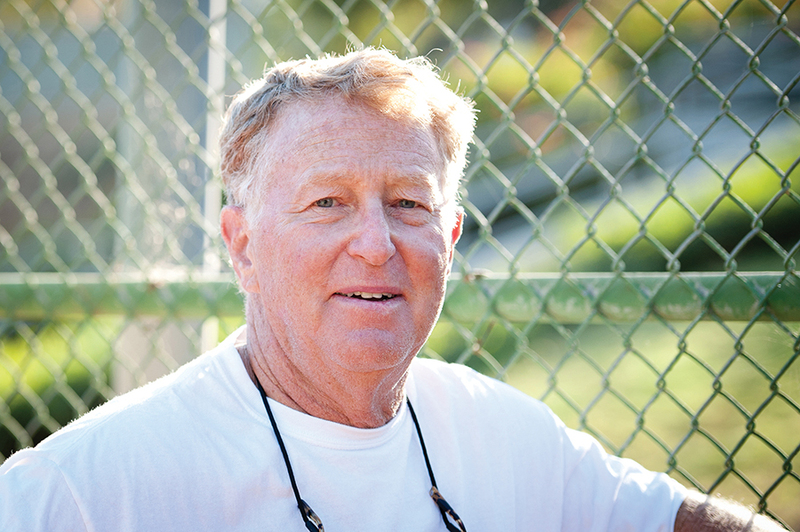 He took over the boys tennis team in 1979 when Bud Ware, who had coached the team since 1963, retired. Kling has coached the boys team every year since then and started coaching the girls team in 1984. 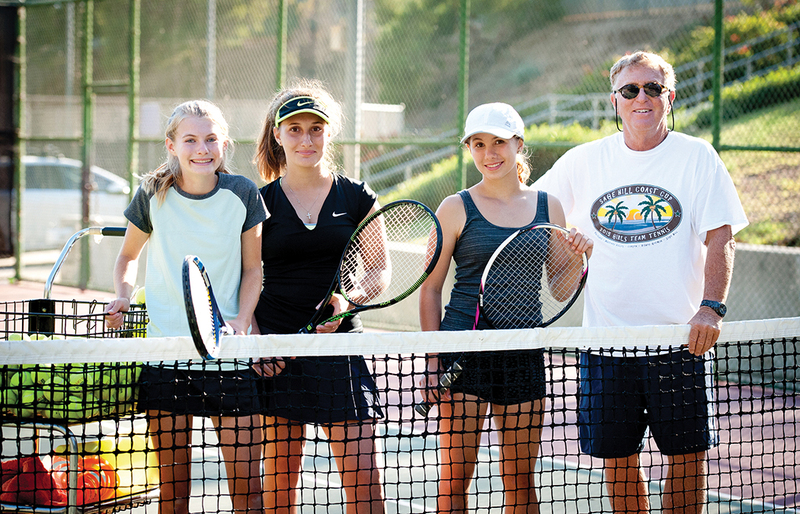 He stopped coaching the girls in 2008 when he retired from teaching at Pali, but continued coaching the boys. He stopped coaching the girls, not because he didn’t enjoy it, but because their season is in the fall and the boys are a spring sport. This means it’s harder to get paperwork in on time, hold tryouts, and know that the girls are in shape. Kling returned to coaching the girls team in 2015, although he’s unsure how long he’ll continue. Kling sticks to a simple philosophy when it comes to coaching: play smart and have fun. Kling’s 37th season is underway, with 12 players on his varsity team and 11 JV players, who are coached by Sam Megowan, in his second year at Pali. Last year varsity team went 22-3 and made it to the State Regionals, but Kling lost three seniors from that team and four other players. “One of them is doing something different, two are moving away, and one girl moved to a tennis academy in Orange County,” Kling said. Kling said he still enjoys coaching and does not have any immediate plans to retire. Kling and his wife, Cheryl, have lived in the same house above Sunset since 1982. Their daughter Ryan lives in Mar Vista and son Alex lives in Hollywood, both of whom Kling coached. The Dolphins’ next home match was Sept. 26 against Fairfax, 2:30 p.m. at the Palisades Recreation Center.